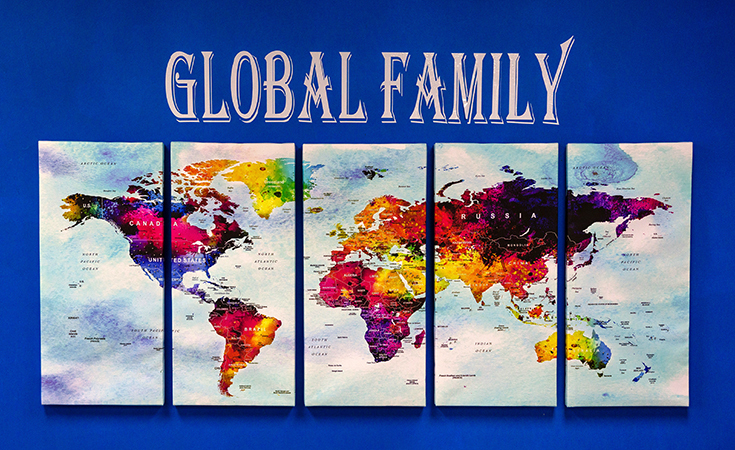 This is displayed in our Studio to help us keep track of our clients Worldwide. Each country or state is designated with one silver pin. We’re proud to partner with businesses around the World. We would like to welcome our International buyers. We've shipped machines to every corner of the World, sometimes to places we have never heard of or seen on a map. We consider ourselves honored that you have come so far to select and purchase our machines. A few things you need to know. We cannot process your order directly through our store, it will only accept domestic purchases. We ask that you send us an email with your full name, address and telephone number and the list of products you would like to have shipped with the machine. Send requests to info@silverbulletcutters.com . Once we receive your email, we'll do an invoice showing you the total cost plus shipping. We ship everything DHL Express, it's the only way we ship International. We receive a discounted rate on shipping for you and have always had superior service from them. If your government requires ANY import, taxes or additional fees collected to bring it into your country you will be responsible for them. Please check before placing the order. Once you receive the invoice and approve it, we'll send a PayPal request to your email address. You can pay via PayPal or credit card in USD. Should you request a wire transfer that information can be provided. Please let us know when approving the invoice. Once you have paid for the machine you'll be sent several emails. The first email will contain your tracking number information, the second email will be online access and software code to run the machine, and lastly, an email containing a link and your login credentials to our Silver Bullet Learning Center. You're automatically registered with the purchase of a machine. Should you have any issues with the machine you will contact us via email and if it's technical support we'll forward that to our technical support team who will contact you to resolve the issue. Should it be a hardware issue, we'll figure out what that might be as well and we will send you the necessary part and instructions on how to replace it. We have a less than 3% failure rate on these machines. They are commercially built and have very few problems. When they do they are very easy to fix. You can rest assured, we take care of our International customers the same as our domestic customers. You have our guarantee.